There’s a big misconception out there that we don’t have real seasons in Hawaii. Sure, we have temperatures in the low 80s year round, but that doesn’t mean there aren’t some subtle (and sometimes not-so-subtle) ways to tell that spring has arrived. The days are longer and drier. Monster surf on the North Shore winds down while the South Shore season begins to heat up. And then there are the clues at the markets: asparagus season is in full swing, with the green stalks monopolizing a large portion of the produce section. As much as I love asparagus, I’m even happier to see fresh rhubarb, which makes its very brief and limited appearance about this time every year. If you see it on the shelves, you’ve got to grab it; you never know whether it’ll be around the next time you go. Well, I’m happy to say that I’ve been good at taking advantage of both the longer and the rhubarb. First up? A nice hike and beach day over on the Windward side. Of course when I pulled my SLR out of my bag for photos I realized I’d left my CF card in my media reader. Boo on that. And then my battery died on my point and shoot after only a couple shots. Boo again. I promise I’ll head back in the not-too-distant future and make a mental note to check both cards and batteries before I head out the door. Luckily my SLR was back in business for rhubarb and ginger syrup. 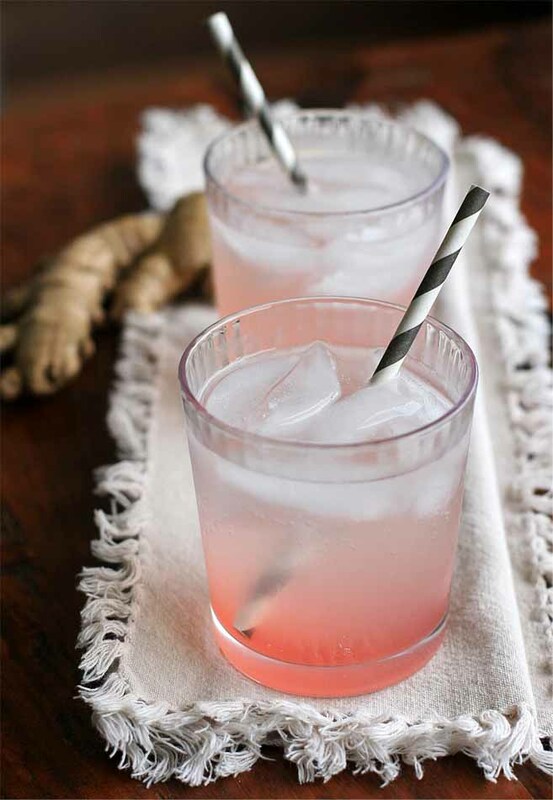 Fresh rhubarb and ginger is simmered with sugar and water, creating a pleasantly tart and sweet, rose-colored syrup. 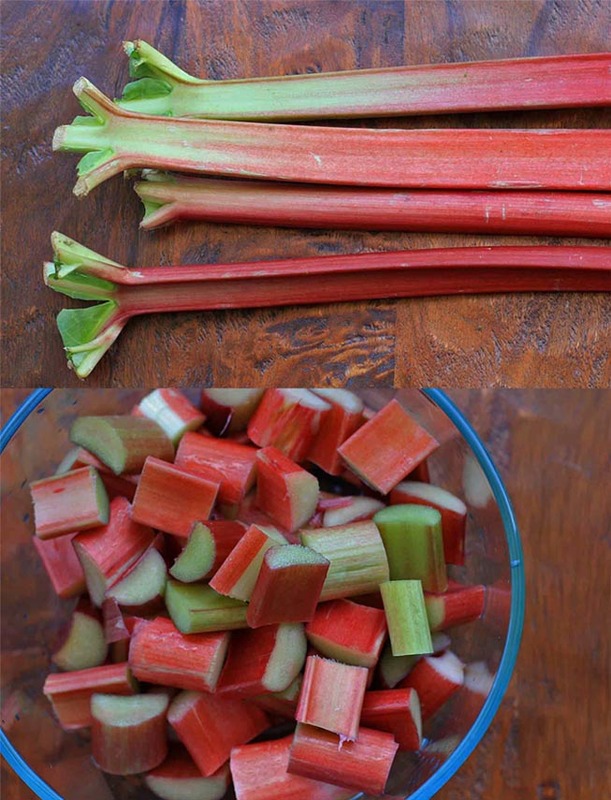 You also end up with a delicious byproduct: soft, sweetened rhubarb. 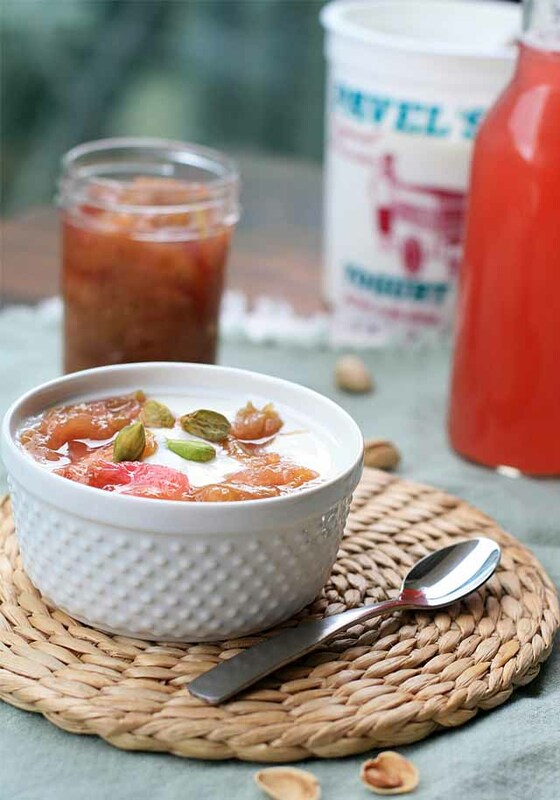 I spooned some over some Greek yogurt and topped with pistachios for an easy breakfast that felt extra special. 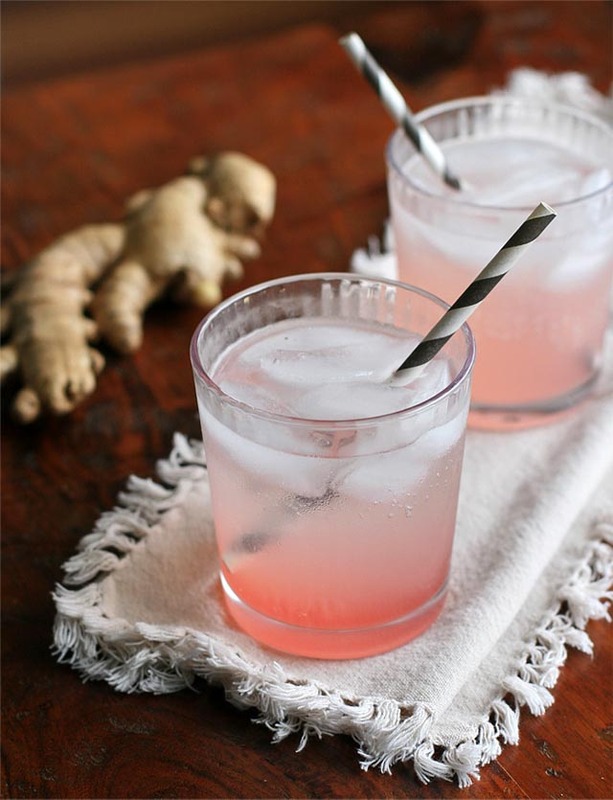 Combine the rhubarb, ginger, sugar and water in a large saucepan and bring to a boil. 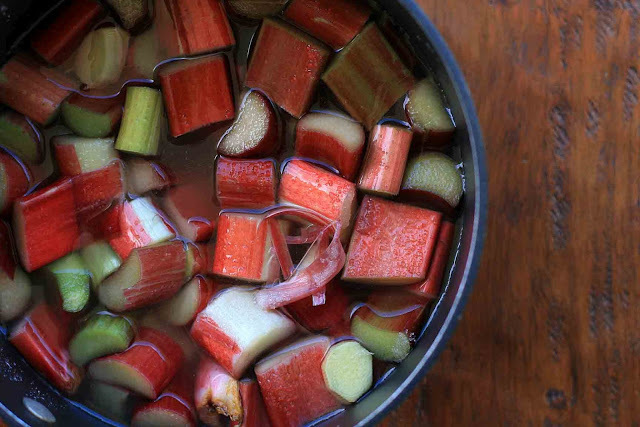 Reduce heat and simmer, uncovered, until the rhubarb is soft. Remove from heat and let sit for 30 minutes. Pour mixture through a fine-mesh sieve into a bottle. Chill syrup completely. 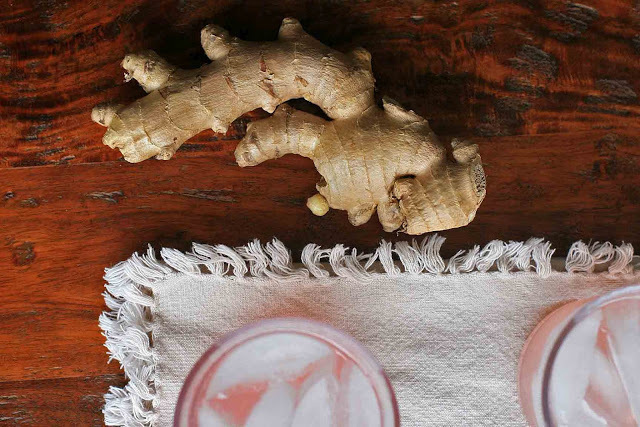 Combine sparkling water with syrup to taste. Serve over ice.